BULL INN - SWINDON, THIS IS SWINDON. ﻿Joseph Browning was landlord of the Bull Inn on Newport Street, Old Swindon, from XXXX to XXXX. 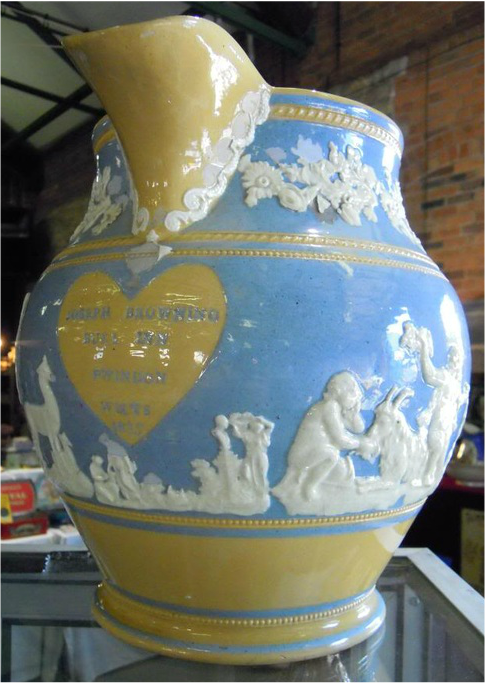 The larger water jug shown below is dated 1835.